2007, oil painting: oil on canvas, 60x40 cm (23 1/2"x15 3/4"). 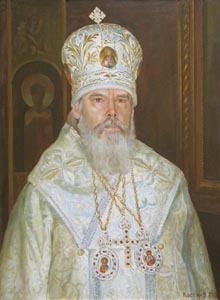 Portrait of Holiness patriarchy of Moscow and Russia Alexis II. .
2000, oil painting: oil on canvas, 60x80 cm (23 1/2"x31 1/2"). 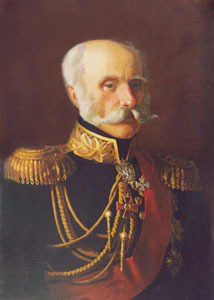 Portrait of admiral F.P. Litke. .
2004, oil painting: oil on canvas, 50x70 cm (19 3/4"x27 1/2"). 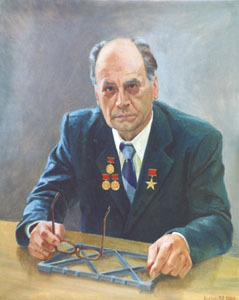 Portrait of academician N.A. 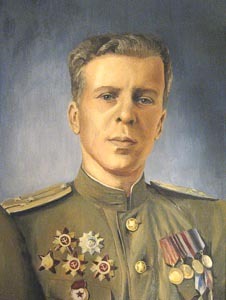 Semikhatov. .
2002, oil painting: oil on canvas, 70x90 cm (27 1/2"x35 1/2").